There are three core hacks to master your training routine at the gym. We all have busy days, and fitting in a complex gym routine can often be a challenge. So what should we do to get fit, build strength, lose weight and develop that bikini bod in the shortest time possible? 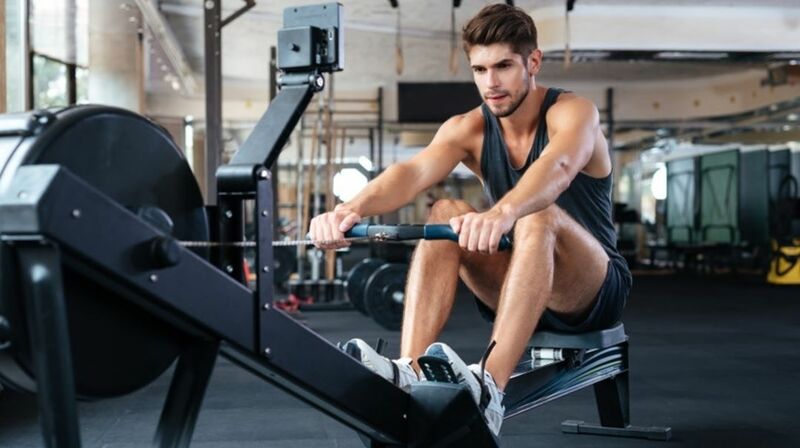 There are many different programs and machines out there, but there are three pointers that will make gym time the most productive part of your day. Be prepared to go shopping for a new wardrobe when you combine these three gym hacks together. Yes, you can be your own personal trainer and drop those pounds. Don’t work out harder — work out smarter and see your body change in no time. These exercises are to develop your core body strength. There are many different exercises that you can choose from. The main idea here is that you will be targeting the major muscle groups and doing sets of exercises to work those muscles. They are divided into bilateral (two) or unilateral (one) exercises. You can choose upper- and lower-body exercises or a combination of the two. These may involve machines at your local gym or you could grab a mat and head into the studio with dumbbells. Think planks, crunches, seated leg lifts and modified exercises if you are more fit (ex. bicycle crunches). Do between 2-4 sets of 10-15 repetitions of each. These will get your heartbeat going, and you can add your own resistance (ex. one-arm plank) if you are fit enough. The second level is the intense trigger to developing power and strength. These exercises combine strength, cardio fitness and flexibility. Because these are more challenging, you can do smaller sets and have a longer recovery time in between. Think box jumps and squat jumps. That’s right: It’s all about pushing through to a new level that combines strength and adding difficulty — your muscles will literally be burning, breaking themselves down and building themselves up as you push them harder, further and more intensely than in the foundation phase of lifting. If you are fit and strong enough, you can add more resistance or weights as well. As your strength and fitness levels increase, you can increase the number of exercises in a set and ratchet up the resistance. Now your muscles are aching and you need a breather. Hack No. 3 pushes your workout to a whole new level of extreme and pushes your metabolism even higher up. The time between sets, when you may usually walk to the water cooler or check your social media, is totally scratched off your new workout plan. What do you do instead? This is key, and in the same way, so is sticking to your routines and program. Experts claim that your muscles will not maintain their condition if you do not exercise them at the same intensity for 96 hours. Once you have lapsed, then the window of optimization will close. You can always keep going and get back in the optimal zone. Exercise and max out your gym time like a boss. Repeat. Rest. Recovery is a part of your training and a tool that will help shape your body. It’s as essential as your active program.